After the infamous death of Terri Schiavo at Woodside Hospice in Florida, many Americans became alarmed and began asking what a hospice should be. Greg Patterson is answering the question. As the founder and president of Covenant Hospice Services based in Lexington, Kentucky, Patterson’s staff serves 190 patients in central and northern Indiana. He says that his organization operates according to “faith guided” principles. Patterson established Covenant first to give patients the best possible care, but also to assure that the patients’ families could be at peace with the care provided to their loved ones—and he says this distinguishes Covenant from numerous other hospice organizations in the United States. “There’s a big push toward euthanasia in the hospice industry,” Patterson said “Why are they so misunderstanding the general principles of hospice, which is to do nothing to either hasten or postpone death? That’s a founding hospice principle. Well, they’re hastening death. So there’s a little bit of frustration and anger. “Let’s hold off on morality for the moment. Euthanasia doesn’t make sense even if you only care about money. After all, the way we get paid is based on a per diem, which is a flat rate per patient/per day,” he explained. “And so the longer that we have patients in our care, the more we’re going to get paid. Why would any individual in his right mind want to shorten the revenue source for his company? It’s baffling to me. “Not-for-profit hospices make up about 65 percent of all hospices today,” he revealed. “They’re declining every year, rather quickly; because people are realizing that it’s good business. “Some for-profit hospices are greedy about it,” Patterson continued. “They try to squeeze every penny. They may cut corners. The Covenant Hospice team is comprised of more than 100 medical professionals, chaplains and office staff serving patients with terminal illnesses. Patients may receive Covenant’s care wherever they choose to live; in their homes, assisted living facilities or nursing homes. Over the years, when staff members would ask where he came up with such good policies, Patterson—who is Catholic— enjoyed their recognition of the Catholic Church’s doctrine. For years Patterson had volunteered and worked in various aspects of long-term care for people with medical conditions. Then in March 2002, Patterson established Covenant Hospice Services with policies directly based upon the Church’s teachings about end-oflife issues. The teachings are stated in the Catechism of the Catholic Church, paragraphs 2276-2279. It also defines euthanasia as directly “putting an end to the lives of handicapped, sick or dying persons” and notes that this “morally unacceptable” act can occur indirectly, through the omission of ordinary care that is due to the patient. Taking into account the complexity of end-of-life conditions, the Catechism then says that medical care which is “burdensome, dangerous, extraordinary or disproportionate to the expected outcome can be legitimately ended.” Such a decision, made by the patient or the patient’s chosen representative, is a recognition of the “inability to impede” natural death. Effectively, it is recognition of someone’s birthday into eternal life—which the Church celebrates often, if we consider that a saint’s feast day is usually the anniversary of his death. Finally, the Catechism teaches that “ordinary care” due to a patient cannot be morally discontinued, even if death is imminent. However, it does say that an increase in the dosage of painkillers, which may shorten a dying person’s life, is legitimate if the hastening of death is not the intended outcome. In January 2003, Chris Ice, also a believing Catholic, moved to Lexington where he met Patterson and the two men became friends. Two years later, Ice became one of Patterson’s closest advisors and now he works as a consultant. “The guiding principles that Greg Patterson had laid out for the hospice were very enticing,” Ice said. “To be able to apply those principles in daily work life was a big factor. Seeing what hospice can do for patients and their families was also very enticing. Having worked in hospice care for more than 20 years, Helen Welter has seen the industry develop from its infancy. But she noticed something special about Covenant Hospice and it convinced her to accept the position as its education coordinator based in Indiana. “I was really impressed because their mission is to have God in the center of everything they do,” Welter said. “And that’s a really unusual attitude. Jacqueline Criss, the organization’s clinical director, also experienced the interrelationship between pro-life principles and compassion soon after coming to work at Covenant Hospice as a registered nurse. Criss and Patterson both interview everyone who applies to care for patients. “We choose our staff carefully,” said Criss. “We take a lot of time in choosing our staff because we want A people so that our patients will have the best of care. And people with principles and integrity and respect will only give the best care. It will be evident in their lives as they go about their work. “Our goal is to relieve a patient’s pain and suffering and it takes a certain type of person that can work day in and day out to relieve suffering,” said Criss. Covenant Hospice, then, takes an integrated approach in the care it gives patients. 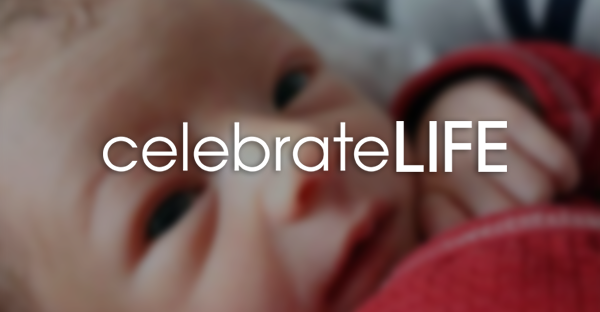 The work involves faith in God, pro-life principles and compassion so that patients can experience the joy of life to the end of life. But Covenant Hospice is just one organization among scores of independent hospices across the country. For all of the organizations like Covenant, there is a greater number of hospice organizations that take the opposite approach as they compete, in a sense, for the hearts and minds of those with a terminal illness. Nevertheless, Patterson and Ice hope that, little by little, Covenant Hospice can bring about a positive change in care for the dying. “We belong to the National Hospice and Palliative Care Organization, which officially opposes euthanasia. But in 2005, NHPCO gave its Heart of Hospice award to Hospice of the Florida Sun Coast, the company that ran the hospice where Terri Schiavo died,” Patterson said. “NHPCO also set up a 22-state speaking tour for Bill Colby, the pro-euthanasia attorney who won the case for Nancy Cruzan’s parents to deprive their daughter the ordinary care of nutrition and hydration,” said Patterson. “Hospices have gotten a bad name for a lot of good reasons,” acknowledged Ice. “If you look at Oregon’s state hospice organization endorsing physician-assisted suicide, it’s very disturbing. To me, that is an alternative toward despair. It’s a horrible alternative. “We are somebody different,” Ice declared. “When you’re sharing the truth, there is strength in that. And that’s what we continue to do.